This entry was posted in daily life, travel by . Bookmark the permalink. Now will it be successfully enforced? Can somebody please tell me if it is legal to make a right turn on a red light in Italy after coming to a complete stop? I am from California where it is allowed. 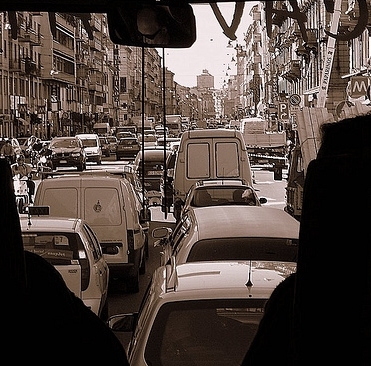 Hey Joanne – no, it’s not legal to turn right on red in Italy…I think it has more to do w/the narrow streets than whether you come to a complete stop. Traveled this week to Catania and left a bag at the hotel. Best way to ship back to US? I am travelling to Italy and I will need to rent a car. I am taking my 2 year old kids with me. Is it necessary to take them in the children chairs in Italy?